Thanks to all the great folks at CANHEIT 2012 the University of Saskatchewan for an excellent conference. I was lucky enough to sit on an LMS panel, and deliver a presentation on Canvas CV. While the presentation is very similar to the one delivered at OUCC2012, I updated a few slides, so here it is! 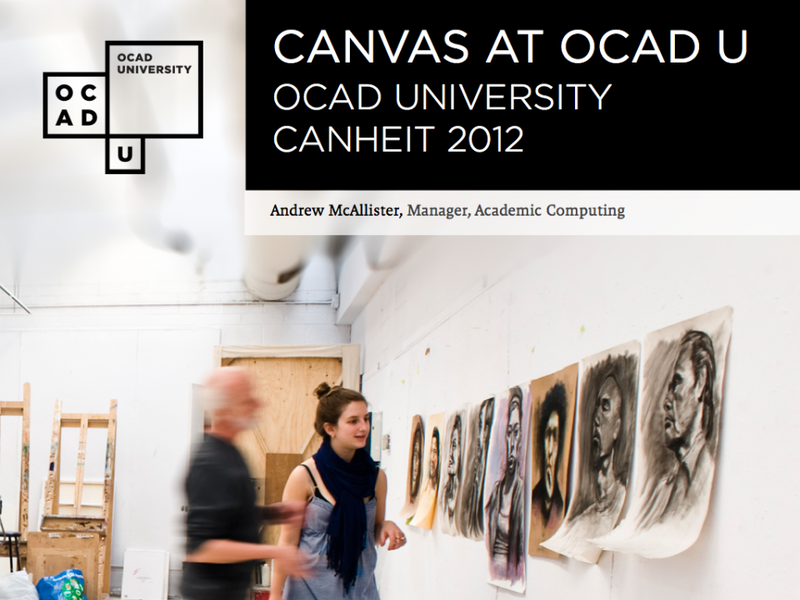 We also created a launch video for our Canvas implementation at OCAD U, so I’ve included the video below.